Comprar um carro é sempre um momento marcante na vida das pessoas. Nem precisa que seja zero, basta que seja bonito, econômico e de preferência que tenha o conforto nos bancos de couro. Já que além de duráveis, não esquentam. Quando o carro tem bancos de couro é muito mais fácil de limpar, ao contrário de bancos de tecido. Pois, não gruda pelos de animais, não furam facilmente, não mancham, não retem poeira nem sujeira, ficam livres de bactérias mesmo caindo alimentos ou bebidas principalmente quando se tem crianças a bordo. Claro que apesar de ser uma maravilha, para continuar sempre intacto, macio, bonito e com cheirinho característico de couro. Não é passando um pano com água e sabão que vai resolver. Pelo contrário, pode até ressecar o estofamento e causar rachaduras. Pode parecer estranho, mas, para qualquer tipo de couro sejam casacos, luvas ou bancos de carro, para ficarem sempre macios. É preciso que sejam limpos com produtos específicos, alguns caseiros, em seguida hidratados. Pensem na limpeza diária do rosto, a pele precisa ser limpa. Em seguida um hidratante aplicado, é o mesmo procedimento com os bancos de couro, limpar e hidratar. Dessa maneira previne o risco de rachar ou descascar. Para fazer a limpeza e a hidratação para que os bancos de couro fiquem sempre com cara de novos, macios ao toque das mãos. Antes de mais nada, é proibido passar produtos como detergentes fortes, sabão, álcool, cera automotiva, nem mesmo silicone. Senão danificam o material, então já era. Por incrível que pareça, para limpar, pano macio branco de algodão, ou esponja macia úmida em água com sabonete DOVE, isso mesmo, além de limpar, amacia e deixa um cheirinho todo especial. Para hidratar, uma mistura de Óleo Johnson e Creme Nívea num pano branco macio de algodão. Percebe-se na hora que o couro fica hidratado e perfumado com cheirinho e aparência de novo. Experimente, vai notar a diferença, inclusive no seu casaco de couro guardado vai fazer toda a diferença. Para deixar o couro sempre macio, limpe e hidrate a cada 30 dias, caso já esteja com aparência de resseca-do, a cada 7 dias. 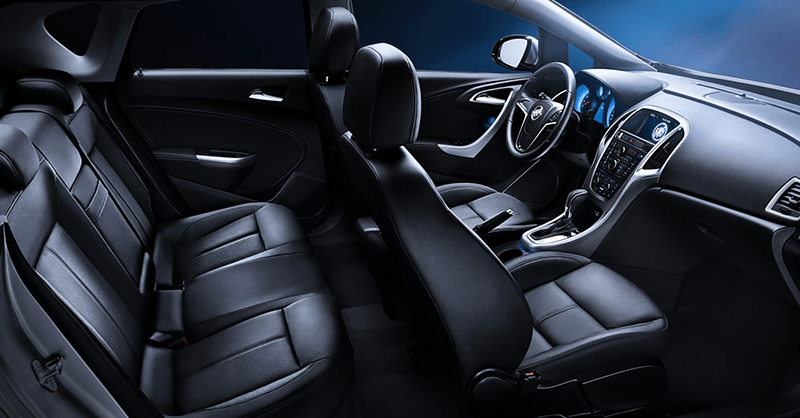 What are the advantages and how to clean the leather seats? Buying a car is always a defining moment in people’s lives. Neither does it need to be zero, just be nice, economical and preferably have comfort in leather seats. Since they are durable, they do not heat up. When the car has leather seats it is much easier to clean, as opposed to fabric seats. Well, it does not stick to animals, they do not stick easily, they do not stain, they do not retain dust or dirt, they are free of bacteria even when food or drinks are falling, especially when you have children on board. Of course despite being a wonder, to always remain intact, soft, beautiful and with a characteristic smell of leather. It is not passing a cloth with soap and water that will solve. On the contrary, it may even dry out the padding and cause cracking. It may seem strange, but for any type of leather are coats, gloves or car seats, to always be soft. They need to be cleaned with specific products, some homemade, then hydrated. Think about the daily cleaning of the face, the skin needs to be cleaned. Next an applied moisturizer, it is the same procedure with leather seats, clean and moisturize. This prevents the risk of cracking or peeling. For cleaning and moisturizing so that leather seats always look brand new, soft at the touch of the hands. First of all, it is forbidden to pass products such as strong detergents, soap, alcohol, automotive wax, or even silicone. Otherwise they damage the material, then it was. Incredibly, to clean, soft white cotton cloth, or soft sponge soaked in water with soap DOVE, that is, besides cleaning, softens and leaves a very special smell. To moisturize, a mixture of Johnson Oil and Nivea Cream on a soft white cotton cloth. It is noticed at the time that the leather is hydrated and perfumed with scent and appearance again. Try it, you will notice the difference, even in your guarded leather jacket will make all the difference. To leave the leather always soft, wipe and moisturize every 30 days, if you already look dry, every 7 days.